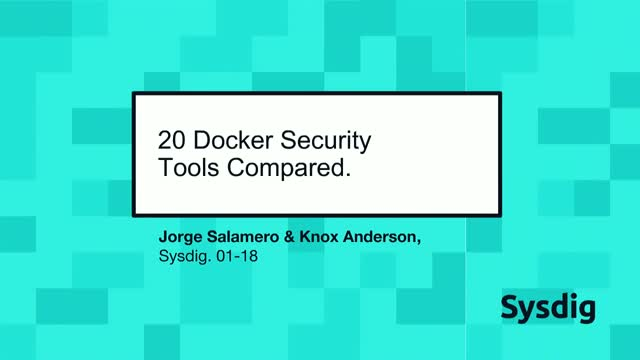 There are quite a few Docker security tools in the ecosystem; how do they compare? We got lots of feedback and questions from many of you, so we decided to pick some of the most popular open source tools and commercial products, look at them in detail, and show them to you live in a webinar. The Falco community is celebrating three years of container protection from this open source run-time security project, born out of Sysdig and now part of the Cloud Native Computing Foundation. The project has come a long way since its initial release in 2016. We’ll cover those early days and talk about how the project - and the world of container security - has grown over the years. We’ll also cover the latest updates on Falco, including: adoption, ways it's being used, newly released features, and the upcoming roadmap. Whether you’re new to the world of container security or a seasoned expert, you’ll want to join to learn more about how Falco is evolving as the standard for container run-time security.